Recently, I was talking to my parents. They’re wanting to go see Italy, but they’re also not wanting to make a long trans-Atlantic flight. Like I told them, they’ll be inside the plane, not outside, so it won’t be bad. 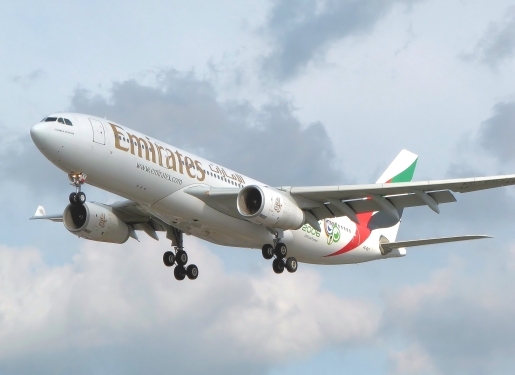 Just ask the unnamed 20-year-old stowaway who rode on an Emirates flight from Vienna, Austria to London, England by hanging onto the plane’s landing gear. Oh yeah, did I also mention he was blind? Yeah, there’s that. When the plane landed at London’s Heathrow Airport, workers were stunned when a guy was found clinging tenaciously like a lost kitty to the airplane’s landing gear. He survived a 75o-mile trip on the outside of a plane, and the only reason he did make it (hypothermia aside) was because of dumb luck: the empty plane had to fly lower than normal to avoid some bad storms. If the plane had flew at a normal altitude, this guy would be a mansicle.